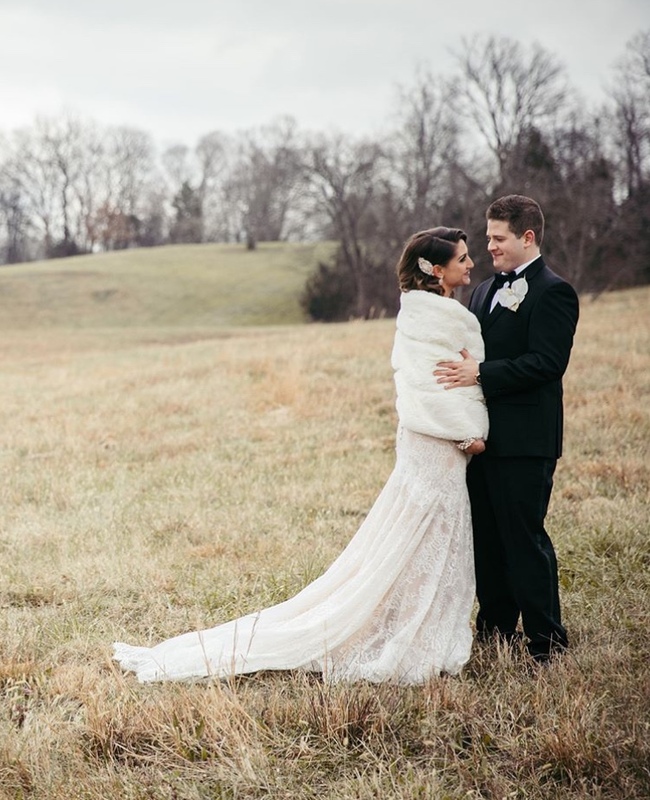 Another beautiful Mint Springs Farm wedding planned by the one and the only Jamie Kiser. These two had a beautiful late afternoon ceremony, officially and legally becoming Mr. + Mrs. by Officiant Wes Howard. Their show stopping sunset ceremony paired perfectly with sweet moments and even sweeter vows. Their reception was incredible from the thoughtfully placed decor and floral to the incredible grooms cake by Dulce Desserts and delish dinner by G Catering. They danced to "Cover Me Up" by Jason Isbell for their first dance, and "All Your Favorite Bands" by Dawes for their last dance. Every single moment in between photographed to perfection by Nyk + Cali, while Matt G kept the film rolling all night, crafting another incredible reel of only the best moments. We're so glad that we were able to be a part of this special celebration! Cheers! J Clark was the team lead for this HCA affiliated holiday party, thrown in celebration of the hard working CSG employees! J Clark was the team lead on this event and he provided a gobo light, dance floor lighting, and a mix of holiday + contemporary music. Another great event! "Traditional Indian ceremony in the morning kicked off the whole day and it was amazing! Samantha and Anup were so happy with the way the everything looked and the flow as well. Angela and her team did a great job coordinating the lighting and decor. Samantha loved the reception ballroom so much she wanted to be in the room when we invited the guests in! So she and Anup sat at there table as we opened the doors, breaking the usual tradition of bringing the couple in after guests are seated. And we loved that! Samantha’s brother Andy stepped in during the special dances instead of father/daughter (sadly, Samantha's father is no longer with us) and right at the end of the dance he wanted to twerk so we had “Back That Thang Up” by Juvenile cued up! The place erupted in cheers and laughter! Andy continued to show us crazy dance moves throughout the night, and at point he sparked a dance-off and was performing handstands and break dancing! I can't make this stuff up. This was one heck of a party that I'm still reliving their wedding day and I'm so glad I was apart of it. Super memorable!" This Weddings by Raina celebration of love was top notch from beginning to end! Ceremony and reception set at Houston Station, the up lighting mixed with the natural, industrial backdrop of this historic venue made for an incredible impression on guests, especially those vising for the first time. This sweet couple chose a custom gobo light design, and although the sun hadn't quite set when J Clark snapped this photo, it ended up being a beautiful design against the exposed brick wall later in the evening! This wedding was one-of-a-kind and we're so glad that we were able to be apart of their special day!.. Congratulations again + cheers to you both! This roaring 20's themed wedding was one to remember! Brad dressed in a tuxedo to compliment the evening attire requested by this dreamy duo, and gold adorned every designed detail at the farm. This group knew how to how have a good time, because after all, a little party never hurt nobody, right?! Every magical moment captured by some of our favorite photographers, SheHeWe. Here's Brad's recap of this real life Gatsby themed celebration.. This was a Gatsby themed wedding, so the decor was very cool. Beautiful white branches hung over the tables, lots of silver + gold. All the print was in that Gatsby gold and black. I knew the guests were going all out with their period dress so I went to Street Tuxedo and they hooked me up with a beautiful period appropriate tux. We went very authentic for the early part of the music, and for cocktail hour I used original recordings from the 1920’s. Songs like "My Blue Heaven," "Mexicali Rose," "Let’s Misbehave" and "Makin’ Whoopee." For introductions we came out to “A Little a Party Never Killed Nobody” by Fergie which was featured in The Great Gatsby film. For dinner we moved things forward in time and hit the 30’s and 40’s, which meant a lot of swing jazz by artists like Sinatra, Glenn Miller and Billie Holiday. The dance floor was definitely more of what you would expect, but we did do a tradition Polish Bridal Dance. The brides family comes from Pennsylvania and that’s a tradition up there. This dance requires guests pay someone cash to get to join the dance circle around the bride. They do a shot and then at some point the groom breaks through the circle and gets his wife- very fun! To bring the theme back in to end the night I used “Empire State of Mind” from the Gatsby Soundtrack as their exit music. All in all, another incredible MSF wedding and one wedding I'll remember for a long while. Cheers! #NashvilleEvents | Five Festive Must-Haves for All of Your Holiday Gatherings!